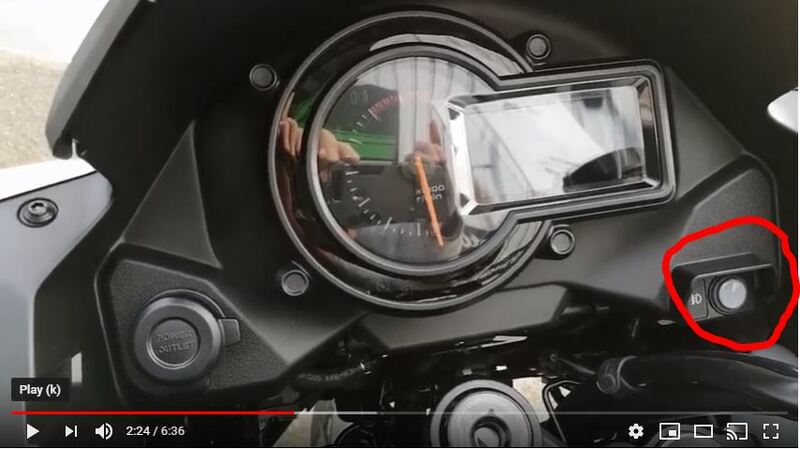 There is a cowling around the instrument cluster - in the video at the 2-minute mark - that would get in the way. It may be possible to put something across the top of the screen uprights. I've always prefered my GPS (phone based) in portrait mode, so hanging off the mirror arm has always been my default position. If landscape is your thing, then the mount across the handlebar yoke is about the only option. Something I noticed: there are no red rear reflectors on either the panniers or the tail of the bike. I thought that was a legal requirement... it is in the US, as an important night safety feature. To the "is it worth it" question - I think so. Very nice walk around! It helps with accessories selection too! To be honest, I like this white/black combination more than orange... For NA black/white version looks different and I can't wait to see it. We should not be complaining here in Canada. If there's a green SE GT 2019 in Canada it would be worth me coming over and buying it, ride it for 6 months then ship it back to the UK. You should get one from Canada. With strong US dollar you are looking at 12,000 USD. Not bad? Himself, looking at your nicely done video and some others from the bike show, it looks like the front fender did not change from previous model. I am thinking of ordering a front fender extender. Another question to everyone. What is the better option - Kawasaki original crush sliders for Versys 1000 or some real crush bars like SW Motech or GIVI?